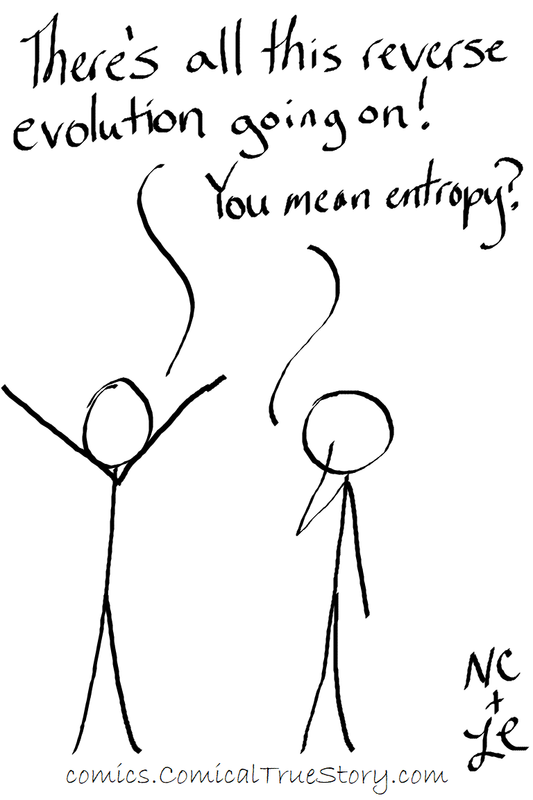 Is entropy the same thing as devolution? Is devolution a real thing? It isn't getting underlined with red squiggles so I think it must be. I think they are separate things since they have different names. 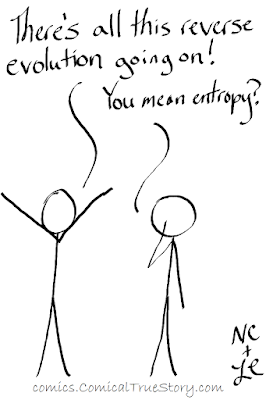 Surprisingly, someone else has ridden this train of thought and came up with: Devolution—meaning the decentralization of power—is the geopolitical equivalent of the second law of thermodynamics: inexorable, universal entropy. I haven't read the article fully so I don't know if I agree with the author's point about government, but I do find it interesting that he has the perfect phrase for my ramble.